Agriculture and Food Minister Sylvi Listhaug was under more pressure on Friday to reveal who her clients were at public relations firm First House, before she became a member of Norway’s new government last week. She’s also being pressured not to roll back the controversial high tariffs placed on cheese and meat last year, to protect Norwegian meat and dairy products from foreign competition. Listhaug has continued to honour confidentiality clauses from her time at First House, but opposition politicians aren’t giving up efforts to force client disclosure. Members of Parliament from opposition parties such as the small Socialist Left (SV) and the Center Party (Sp), both of which were in the previous left-center government, claim they’re trying to avoid conflicts of interest. They also, however, are strongly opposed to Listhaug’s agenda on behalf of the conservative government to deregulate agriculture in Norway and try to make farmers less dependent on the state. They were distinctly uncomfortable with Listhaug’s appointment and fear she will force through cuts in subsidy and tariff support. They thus are demanding more transparency and want to know the identities of Listhaug’s former clients. Newspaper Dagens Næringsliv (DN) reported on Friday that grocery store chain REMA 1000 was among them until just before she was tapped to join the new government formed by the Conservative and Progress parties. 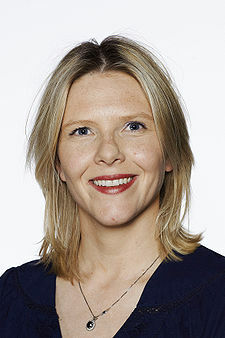 Listhaug, a former Oslo city government politician for the Progress Party, is the first person to ever join the state government directly from a PR firm, and First House has been especially controversial because of all the former top politicians it has hired so that clients can benefit from their inside knowledge of the workings of government. First House is headed by Per Høiby, the older brother of Crown Princess Mette Marit. REMA 1000, meanwhile, has often been in conflict with farmers’ organizations in Norway, as both the profitable grocery store chains and the farmers’ lobby blame each other for Norway’s high food prices. DN reported that Listhaug provided REMA 1000 with an analysis of the new government’s plan to allow stores to open on Sundays, as one of her last jobs for First House before she joined the government herself. Newspaper VG has reported, though, that the farmers’ organization Norges Bondelaget is also a client of First House, although not necessarily of Listhaug while she was there. First House has several other clients involved in the food and beverage business, including an organization representing grocery stores, the grocery chain Coop, Coca-Cola, food producer Orkla, the NHO employers’ organization unit representing food and beverage firm and the brewing organization Bryggeriforeningen. On Friday, former minister Bård Vegar Solhjell of SV was claiming that Prime Minister Erna Solberg would need to “save” Listhaug by demanding disclosure of the client lists to more than just the ministry’s legal experts. Solberg has earlier refused to do so, claiming any conflicts of interest would be spotted by government lawyers. Listhaug, meanwhile, already has had a meeting with food industry players (including reported First House client Orkla) who are demanding that the government drop its plan to reverse the cheese and meat tariff hikes that badly upset the EU last year. Meat and cheese prices have risen markedly in Norway, since imports are restricted and market regulators like Prior, Gilde and Tine can control prices. Employers’ organization NHO is split on the issue, with its food industry members wanting to maintain the high tariffs and the board and other members wanting to cut them, so that other Norwegian exports like salmon won’t face retaliatory tariff hikes imposed against Norway by the EU, Norway’s most important export market. Listhaug told DN that the previous government’s agreement with the farmers will remain in force through 2014, indicating that no immediate tariffs cuts are likely. “We’ll get back to the issues during negotiations for 2015,” she said. She’ll be meeting representatives from the grocery store chains next week.